Paper - A large outlet for starch. Starch was important for both sizing and coating of paper, when Gutenberg invented his printing technique in 1450. The history of starch in papermaking is 6000 years old - as old as the printed word itself. Starch is used in papermaking from the wet end to the size press. It is used in coating and as calender starch. 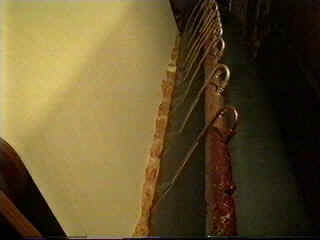 It is preferable used because of tradition and the potential to reduce total costs significantly. In North America 1.7 million ton is used for papermaking. The large quantities require bulk deliveries and we offer shipments in 20' IBC "Intermediate Bulk Container" with plastic liner with no need for labour-intensive manual handling. Proper cooking and complete hydration of a starch molecule is essential for all applications. Potato starch and tapioca starch (cassava starch) are both as root starches extremely easy to cook. The concentration in question ranges from 6% for a wet end starch to as much as 40% solids for a coating starch. Both shear and cooking temperature are important factors to completely disperse the starch granules. It is therefore necessary with high shear throughout the cooking process. It is possible to cook the starch in an open kettle, but it takes considerable time and much faster and much better controlled cooking is obtained in a jet-cooker - the preferred cooker in the paper mill. The size press is an important tool for increasing paper strength because addition levels much higher than by wet-end addition. It is also important because relatively inexpensive native starches may be applied. Native corn starch is the major size-press additive used in the U.S. Poor performance on the size-press may be caused by retrogradation - a kind of crystallisation of linear parts of the starch (amylose). Root starches as from cassava and tuber starches as from potato form clear gels with little tendency to retrogradation and have improved functionality. Native starch has limitations. High solids are difficult to obtain, because the viscosity is skyrocketing with solids concentration. This is the background for the popularity of thin-boiling starches. By acid treatment the length of the starch molecules responsible for the viscosity is broken down allowing much higher concentration of starch in the cooked gel - hence the name thin boiling starch. Oxidization has the same effect but it also add functional groups to the starch - groups that improve clarity and flexibility of the film formed on the paper. Enzyme does the same job as acids, but has the advantage to the papermaker, that he can do the liquefaction himself just by adding the enzyme to the starch slurry before starting the cooking process. Hydrochloric acid which is a typical reagent used by the starch maker can thereby be avoided. Reduction in the strength of the converted starch and strong setback are drawbacks to be accepted as a compromise. Hypochlorite is a preferred reagent by the starch maker for oxidation of starch, but the papermaker just using hydrogen peroxide or other peroxides leaving only acceptable reaction products in the slurry may also do the oxidation. The papermaker enjoys the fast reaction taking place at elevated temperature not available to the starch maker, because the starch maker must retain the starch on a granular form - a property of no importance when the starch is modified, cooked and used in situ. Also amphoteric starches are used with an increasing market share. The word "amphoteric" implies that a chemical product has both positive and negative ion groups. The cationic groups are the same quarternary ammonium substituents used in preparation of cationic starches. The anionic groups usually are phosphates. Cationic potato starches are amphoteric since potato starch contains about 0.08% phosphorous. The cationic content of amphoteric starches is typically in the range of 0.2 to 0.3% nitrogen. Amphoteric starch may be made in an one-step operation. In practice, however, a two-step modification is used and typical beginning with wet a process for the cationic part followed by an impregnation of the washed and moist press cake with anionic reagent. The wet impregnated cationic press cake is dried and heated to complete the anionic reaction. The main applications of amphoteric and cationic starch are in the paper industry as wet-end additives, coating binders, retention aids, and overall dry-strength agents. Recycled fibers decrease pulp strength. The amino groups on cationic molecules (and amphoteric) create new bonds with hydroxyl groups on the cellulose, thereby stronger paper is obtained despite the recycled fibres. Use of cationic (and amphoteric) starch has been steadily growing alongside with using of recycled fiber in the paper industry. The performance of amphoteric starch can be enhanced, if alum or polyaluminum chloride (PAC) is also being used. 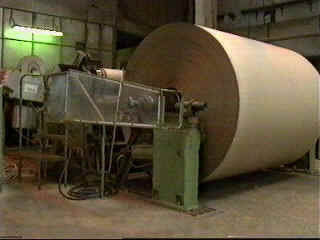 For corrugated board a mixture of a cooked carrier starch and a native uncooked starch is applied - the Stein Hall process. During heating the native starch suddenly gelatinizes and gives a fast tack and a firm bond when cooled. Tapioca starch gelatinizes with a lower temperature than cornstarch saving energy and allows faster speed with less warping. The tapioca starch granules are small and do not settle in the application tray.